Maybe you have repeatedly surfing in Bali and maybe at this time you still try to find another alternative that close to Bali. Of course Bali and every life in it are won't make you bored but divert your step to the island besides Bali, exactly in the right side of Bali island that will leave distinct impression. The island in the right side of Bali island is Lombok island where include in the province of West Nusa Tenggara. In west lombok, there is one of island where it's the largest island between three islands in the northwest offshore of Lombok island, named Gili Trawangan. Gili Trawangan has the most complete tourist facilities. This island will make you amazed with its beauty and serenity. Gili Trawangan has a lenght of 2 kilometres and a width of 1,5 kilometres, so tourist can walk around this island only 2 hours. The white sandy beach. The tropical coral reef and the clear and blue sea. All of this will waiting for you here at Gili Trawangan island. Without car and motorcycle, and also without another disturbance but there's only the scenery of tropical island that is very beautiful and you will be treated by friendly local communities. 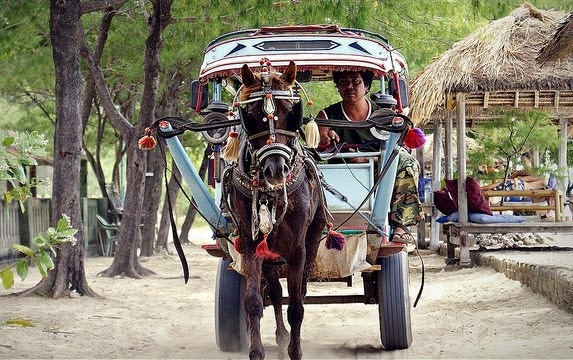 Gili Trawangan is ideal tourist destination for all of you who want to rest of city's traffic jam. In this island, you will find places that is very natural and beautiful. Gili Trawangan offers spectacular corals and a challenging dive spot like Karang Hiu. For the divers, there are many place in Gili Trawangan where you can dive all types of marine life include the beauty of green turtle (Chelonia mydas). Swim to the surface and look, how this amazing turtle swim in the sea between the coral reefs. You can see these turtles in the depth of 10-20 metres under sea level. Also in this island there's a japanese cannon, which ever occupy this island. From a hill's summit in Gili Trawangan when the sunset comes, you can enjoy the panorama towards Bali strait and witness Mount Agung in Bali island from a distance. Many restaurants here and night activities. Many cafes here is very entertaining and different with cafes in Kuta, which always provide night entertainment in the same time. Everyday in Gili Trawangan held different beach party. Explore the beauty of underwater life and witness the blue corals. The coral type can be found only in Gili Gili island at Lombok and Caribbean sea, and one of them in Gili Trawangan. You can dive in Dinding Meno at Gili Trawangan in the depth of 18-20 metres, then you will find white shark and turtle. The coral and underwater life here is very diverse and will make you be amazed. Snorkeling equipments can be rented in various dive spots near the beach. Tired of diving ? You can try to relax and sunbathe under the tropical sunlight in the south of Gili Trawangan. In the southern of Gili Trawangan, you can witness the atmosphere of night life full of various musics include techino, and dancing of course, while you meet with new people that might be your new friend. 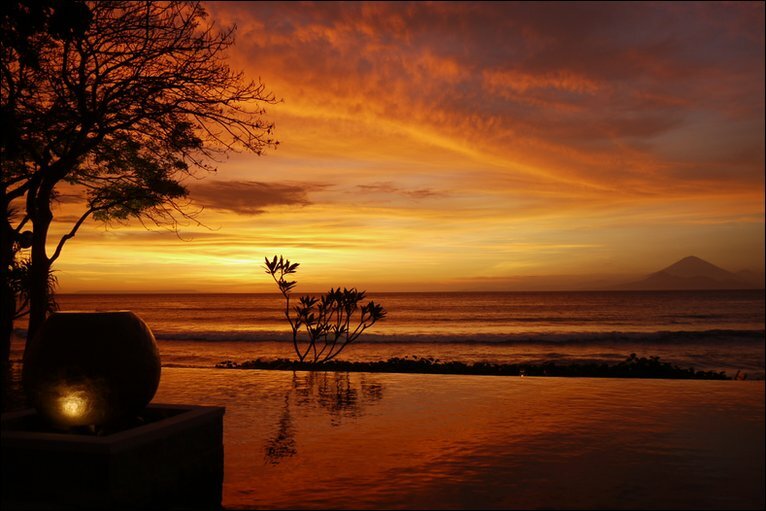 Or just relax in cafe or bar near the beach that provide best place for witnessing the sun sets by the golden colour or witness the beauty of sunrise in Mount Rinjani from a distance. Car and motorcycle are prohibited in Gili Trawangan to give a peaceful and calm atmosphere. The best way to explore this island is by using bicycle. You can rent bike and walk also witness a spectacular tropical views. Cidomo or delman is the unique way to take a walk around this island. If you want to take a walk among the islands in Gili, you can rent motorboat. 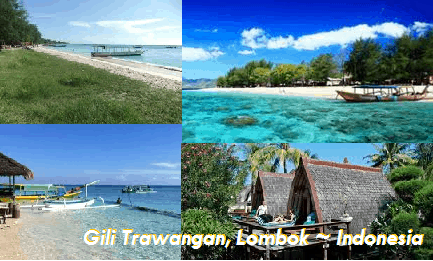 Many travel agent in Bali that provide tourist packages to Gili Trawangan island or Lombok. You can make preparation from Bali. Ferry ships is the popular way to reach to Gili Trawangan from Bali. There are many Ferry ship services from Padang Bai, Serangan, and Benoa. Gili Paradise can set transportation, accommodation, and everything in Gili Trawangan island. 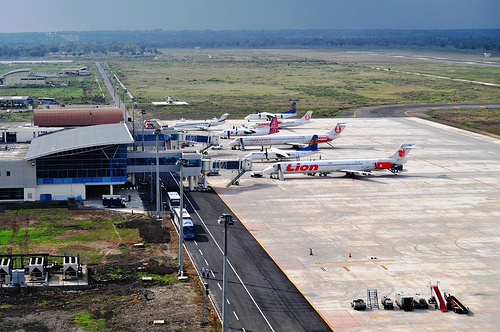 Several choices of vehicle type to Gili Trawangan in North Lombok regency are by using plane from Bali to Selaparang international airport and use taxi to Bangsal harbour. From here you can use public boat or use rented speedboat but its price is more expensive compared by using public boat. For the fare of public boat to Gili Trawangan is only Rp 15.000+/- and it needs 45 minutes. Ferry ship starts to operate from 08.00 AM until 05.00 PM, but it operate depend on passenger amount, at least 20 people for each ships. For the departure schedule can't be ascertained because it's adapted with the numbers of passenger that will across to each islands. Enjoy the beauty of underwater life in Gili Trawangan island is not always cheap , so when you plan a holiday, you have to prepare special budget to rent diving equipments and its guide. During crowded holiday season between June - August, the accommodation in Gili Trawangan island will be filled by tourist, so it will be better if you make reservation at least 4 month before.